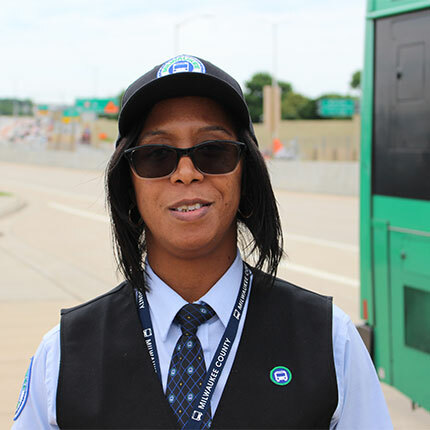 Danita Wilson has only been driving an MCTS bus for a few months, but she handled a dangerous situation like a veteran. Danita was driving her BlueLine bus south on 17th Street when a large truck ran the red light at Walnut Street. Danita only had a split second to react, maneuvering her crowded bus out of the way of the truck and avoiding a bad accident. A Security Officer on the bus said the inattentive truck driver was on a cell phone. An appreciative MCTS rider gave Danita the thumbs up from the back row. He, like the rest of the passengers knew Danita's quick actions kept them safe.